Canada’s Emergency Preparedness Week is a national awareness initiative that has taken place annually since 1996. This year’s campaign runs from May 5 – 11, 2013 and is a collaborative event undertaken by provincial and territorial emergency management organizations supporting activities at the local level, in concert with Public Safety Canada and partners. Public Safety Canada offers a wide variety of resources and publications to help citizens know the risks and get prepared for natural hazards like flooding, severe storms, power outages and more. And share some of the “72 hours…Is your family prepared?” campaign posters, toolkits and brochures to promote action and awareness through social media. 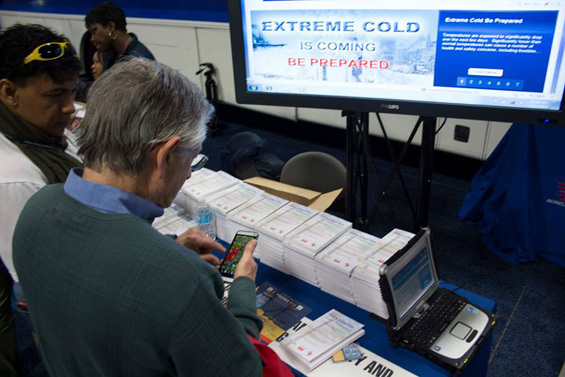 Learn more about EP Week here … or visit www.GetPrepared.ca or follow @Get_Prepared on Twitter. Also download some free safety topics from our IT’S A DISASTER! book since it is written primarily for Americans and Canadians.